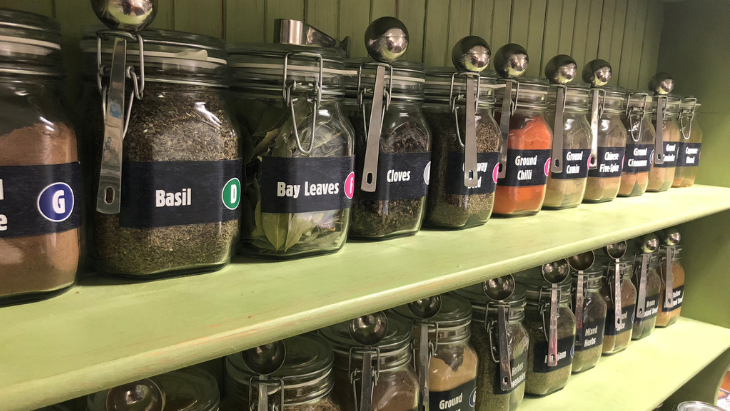 Our Zero Waste Shop sells a huge range of spices, herbs, grains, legumes, dried fruits and nuts all free from wasteful plastic packaging. Each product is sold by weight so you can buy as much or as little as you need. Just bring your own container, buy one from us, or use one of our recyclable paper bags. We also have refill stations for your empty bottles of household products, with everything from laundry detergent, to liquid hand soap and multi-surface cleaner. There’s no need to buy a new bottles of product - it’s cheaper and less wasteful to refill! 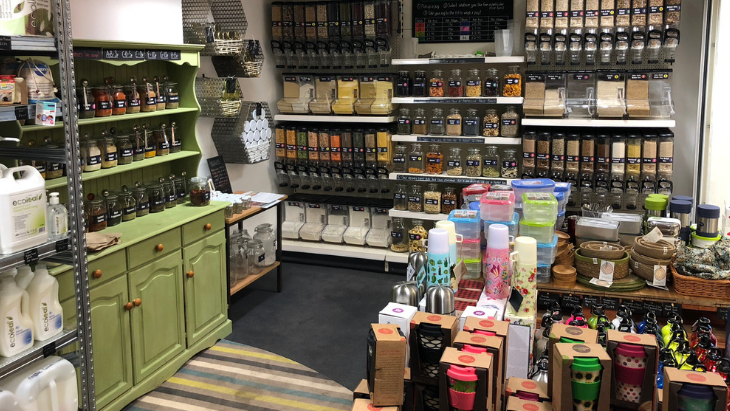 You can also pick up a range of recycled and sustainable products from recycled kitchen and toilet roll to sustainable bamboo cutlery and kitchenware. It’s really easy to start shopping the Zero Waste way - simply Pick, Weight, Pay & Pour. You’ll soon get the hang of it - and wonder why you’ve not shopped like this before! 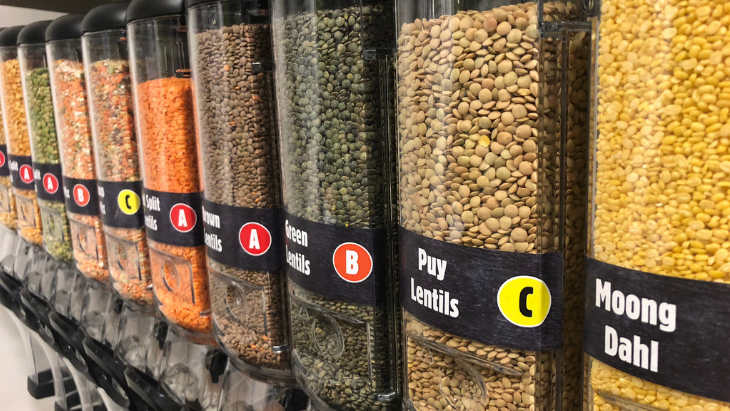 We stock a wide range of dried bulk wholefoods, From lentils to beans & pulses, Flour to Pasta & rice, Cereals, Fruits, Nuts, Seeds, Herbs & Spices. All our wholefoods are price banded and sold by weight - see the product list for our latest offering & prices. We stock a large range of eco friendly and refillable household products from the Ecoleaf range - including Laundry detergent, conditioner, washing up liquid, multipurpose cleaner, hand soap and bathroom cleaner - all in refillable bottles and bulk to fill your own containers. 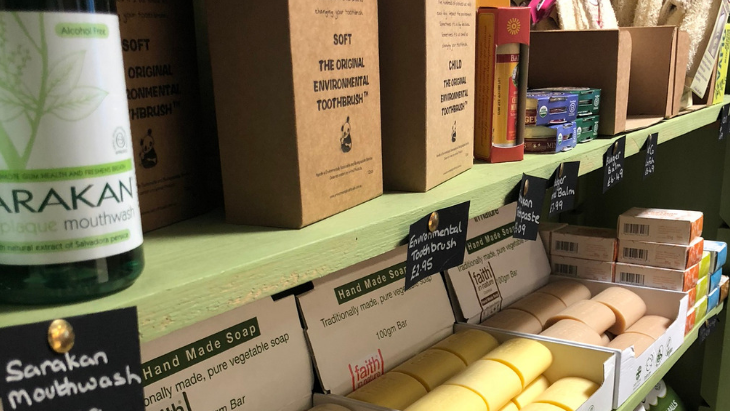 As well as products for the home we stock a variety of toiletries such as shampoos, conditioners and soaps - with refills available - and plastic free products such as individual loo roll, cotton buds, tissues and sanitary items. Our kitchenware products are practical and sustainable - think bamboo cooking utensils, eCoffee Cups, Stainless Steel lunch boxes and loads more besides. We love to hear what you think about the shop, and we’re constantly adding to the range - something you’d like to see us stock? Seen a great blog you think we’d like? Or even if you just fancy a chat about anything Zero Waste then we’d love you to get in touch!